The kids (5, 7 and 9) and I have had the opportunity to review two great digital products from Christianity Cove. We read through a "sticky situations" devotional, Daily Dilemmas: 26 True-to-Life Devotions for Kids and used their hands-on Bible Science Experiments ebook. Daily Dilemmas is designed for children ages 6 - 12 years old. 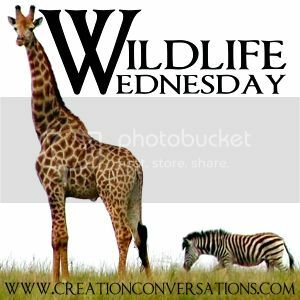 It can be used in Sunday School or at home as a discussion starter concerning topics that our little ones may face even at their young age. 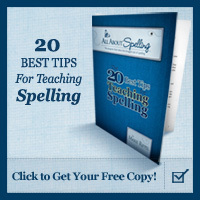 Many are written with a school setting in mind, but homeschooled children will benefit from discussing the scenarios. The Daily Dilemmas are fairly short reads, consisting of usually just one paragraph of a sticky situation. There are three relevant Bible scriptures listed for each dilemma to be looked up and read. Our nine year old would do this part for us using her Bible. There is also an index listing of all scriptures used beginning on page 53 of the pdf, but I like giving Caraline practice in looking up scripture for us. Then four possible solutions are presented for the sticky situation. The children are to place the four solutions in order from best answer to least likely. Then, the teacher turns to the Reflections section at the back of the pdf to find the corresponding Reflections, or discussion, to their Daily Dilemma. The Reflections consists of one to two paragraphs about the best answer and ends with The Most Christian Response which reiterates the author's best answer to the dilemma. Now, I must admit, even I was a little stumped on what the best answer should be to some of the situations. And there were a few I didn't completely agree with as being the best solution offered. But again, that is what makes a devotional and discussion so great. After reading the author's thoughts on the relevant scriptures and her thoughts on the dilemmas in the Reflections section, it provided great discussions among all of us. I would say that we benefited greatly from our discussions of each topic read and even came up with ideas for our own best solution based on Biblical truths,as recommended in the introduction. There was one devotion, #18 that I changed a word in the possible answers to better suit our family. It was certainly not a big deal at all, and the devotion is a very good one about being careful of strangers. And a couple of others I skipped for now with my little ones. I felt they would be better for an older audience. This is recommended for up to 12 year olds and my oldest is merely 9. I especially like that there is also an index of topics, and the introduction is a big help in understanding how to use this devotion and how the author chose the specific Bible verses and how she numbered the responses. One thing I'd like to see added to this digital file is a direct link to the Reflections area within the corresponding Daily Dilemma or at least the page number the Reflection can be found on. 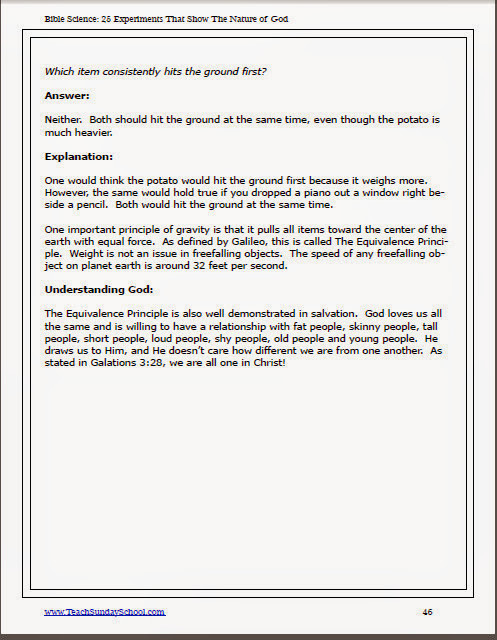 If this sounds interesting to you, do check out the information page on Christianity Cove's website. They list the Table of Contents and a full sample devotion. The price for Daily Dilemmas is $29 for the pdf, digital download of the 60 page ebook. 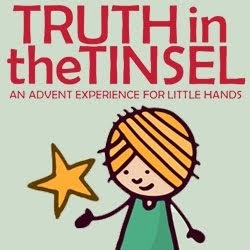 I believe the discussions spurred by this devotional ebook can be a wonderful blessing for families. The twenty-five experiments (or demonstrations) are divided into five sections: Light, Color, Magnetism, Motion and Gravity. 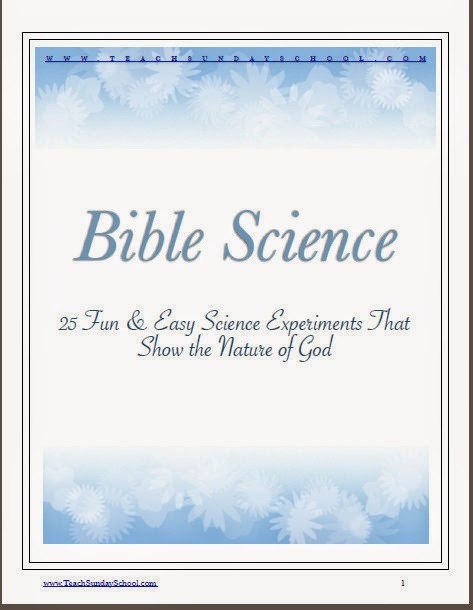 Each experiment in this 55 page ebook is designed to show the nature of God. Understanding God ~ this where the experiment is brought full circle and explained in a way to show a part of God's nature. We enjoyed each experiment thoroughly! They are all extremely interesting, easy to replicate, and most materials we already had at home. I love how the author brought a truth about God into the experiments. I also appreciated the easy to read, uncluttered pages of the ebook. 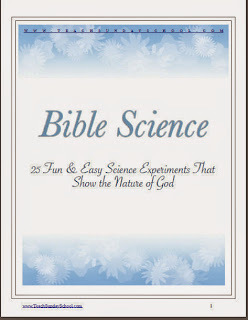 The author also has a great way of explaining each experiment in Biblical and scientific terms. As you can see, the information is presented clearly and in an easy to follow format. 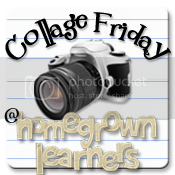 We enjoyed this experiment, but there are many others that we enjoyed even more. (Experiment #6 is my favorite! It explains the Trinity by spinning a simplified color wheel). 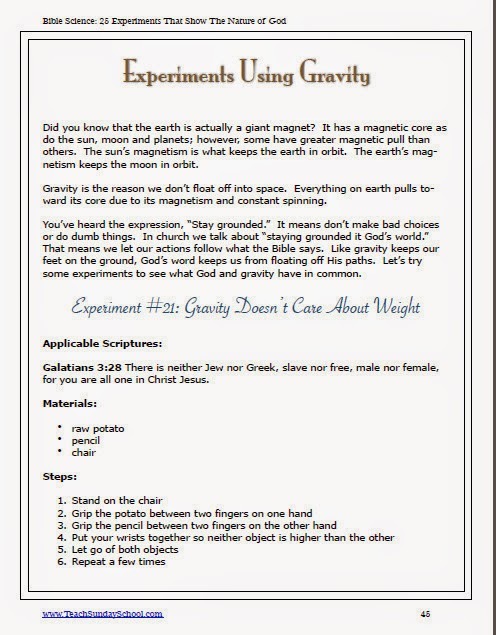 Bible Science Experiments was easy to implement in our homeschool. It took little to no prep time on my part and could be completed in about ten minutes. I could typically just open the file and go. It was a perfect activity for times when we needed to add a little more fun to our day. I would also venture to say the science demonstrations in this ebook would work for any elementary aged student, maybe even up to middle school. Christianity Cove has many Bible related materials on their website and a lot of those are being reviewed by the Schoolhouse Review Crew!